HAN CHANG / We are well equipped with the latest machine providing CNC milling service, stamping and drilling service, assembling and packing service, as well as tooling develop and process planning, with these machining process, we can customize aluminum products. We are well equipped with the latest machine providing CNC milling service, stamping and drilling service, assembling and packing service, as well as tooling develop and process planning, with these machining process, we can customize aluminum products. 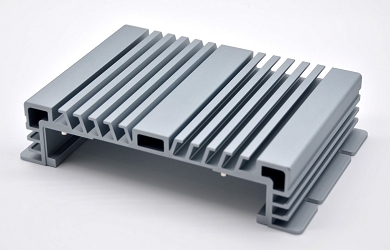 We specialized in the manufacture of customized aluminum products including fanless aluminum chassis for any kind of industrial computers (1U, 2U, 3U, 4U) hardware raid array, in-vehicle computers, touch panels that are applying in the various industrial field. We continuously develop our services in close cooperation with our customers. We have a limitless capacity and rich experience in helping our customers develop solutions. Establishing SOP / SIP for each product to ensure zero mistake during the mass production. Copper tube and copper block are buried in the back to improve heat conduction and heat dissipation. CNC milling aluminum raid storage chassis. Copyright © 2019 Han Chang Enterprise Co., Ltd. All Rights Reserved.